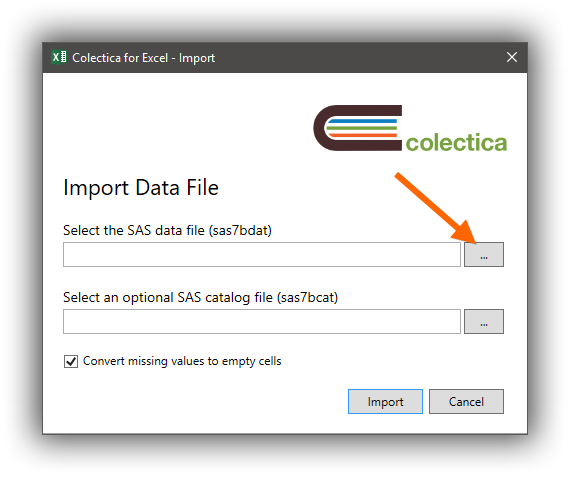 SAS to Excel import is a feature of Colectica for Excel Professional. On the Colectica ribbon tab, click the From SAS button. 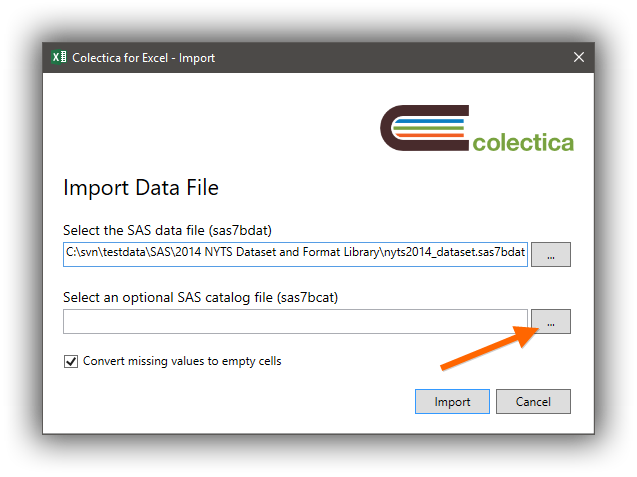 In the Import dialog, click the button to select a SAS data file to import. This file ends with the extension .sas7bdat. 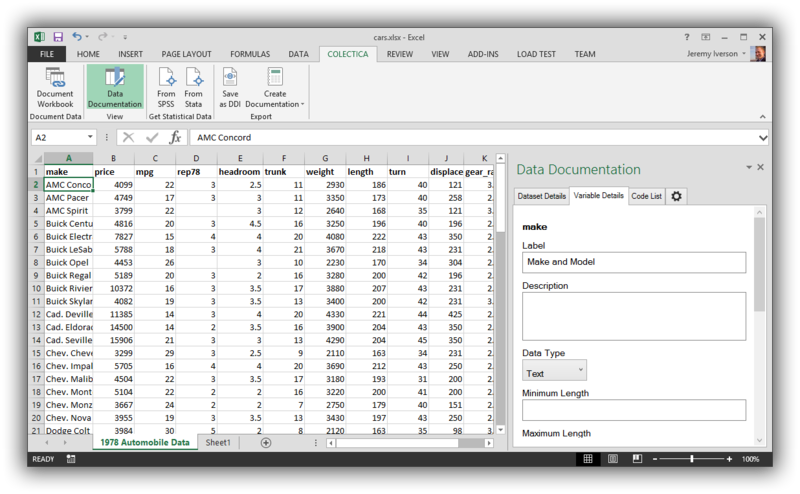 If you have a SAS catalog file with value labels, click the button to select the SAS catalog file. This file ends with the extension .sas7bcat.